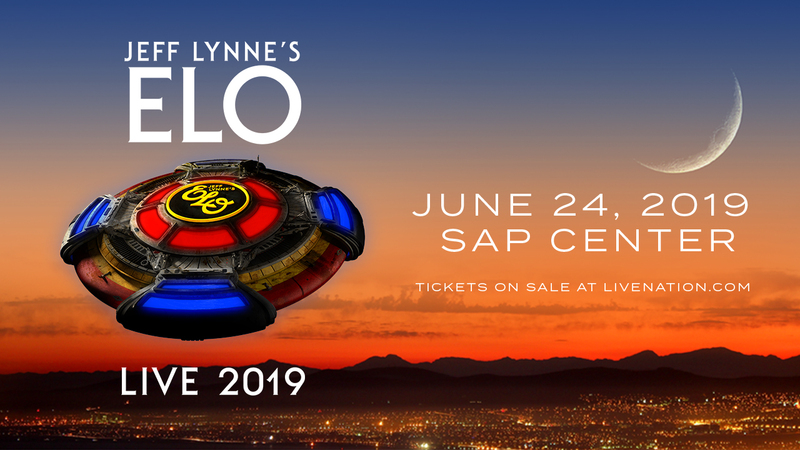 SAN JOSE, Calif. (KGO) -- After returning this summer with their first extensive North American tour since 1981, Jeff Lynne's ELO is set to bring their outstanding live show to even more audiences with a 20-date summer 2019 tour. Following a critically acclaimed sold out show at Oracle Arena in 2018, the 2019 tour will make a Bay Area appearance on June 24th at the SAP Center at San Jose. Live Nation and ABC7 want you to see Electric Light Orchestra! Enter for your chance to win two tickets to the show at SAP Center at San Jose on Monday, June 24th!